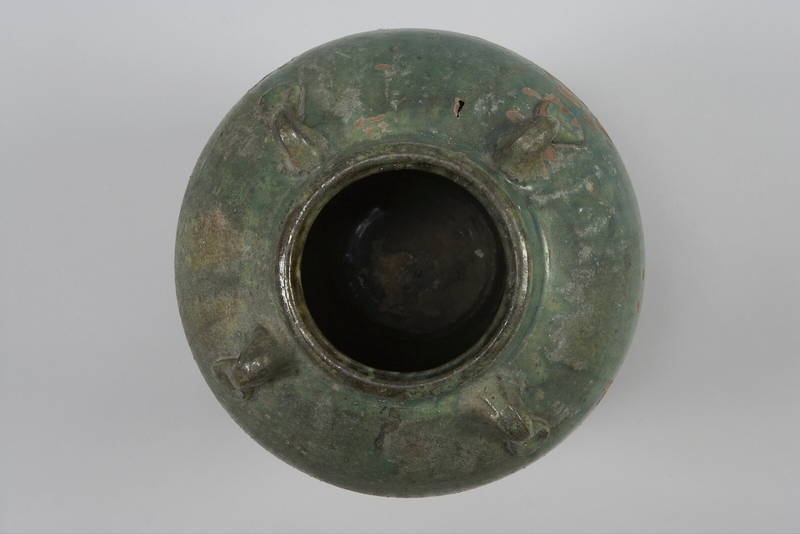 Item number Ia263 from the MOA: University of British Columbia. 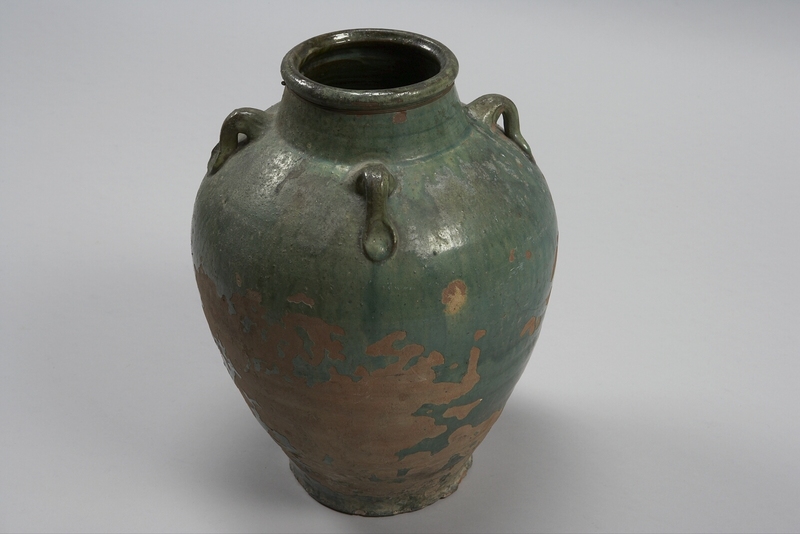 Globular-shape jar with medium size mouth, everted lip and four vertical lugs on shoulder. The base is unglazed. Interior is also unglazed except for neck and small glaze pool at bottom. Two coils of metal wire just under lip with a small twisted knot and a set of inked numbers on neck. An heirloom piece defined by Dr. Tecson as a piece never in the ground, thus different from an excavated piece, and not necessarily from his family. 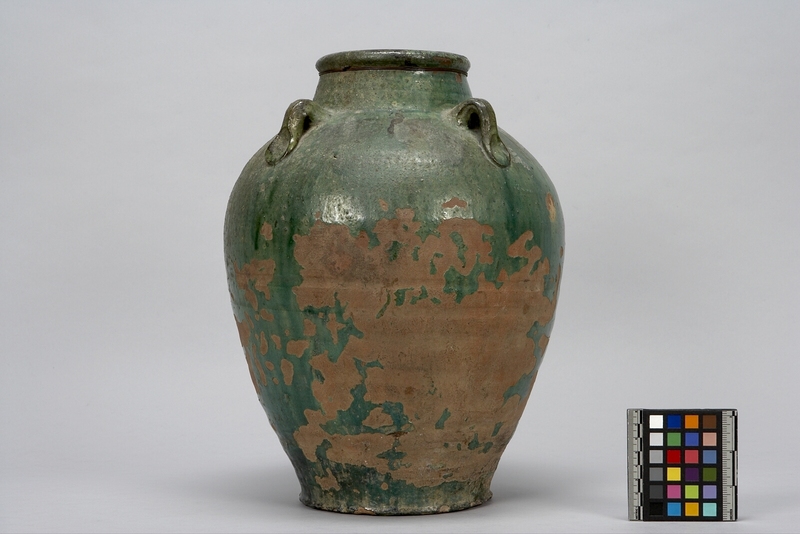 This jar is from the Bontoc region, Mountain Province, Northern Luzon. Commonly referred to as Martaban or dragon jars.